Girl is NOT a 4 Letter Word: Save The Date - The Venice Ladies Jam is Back! 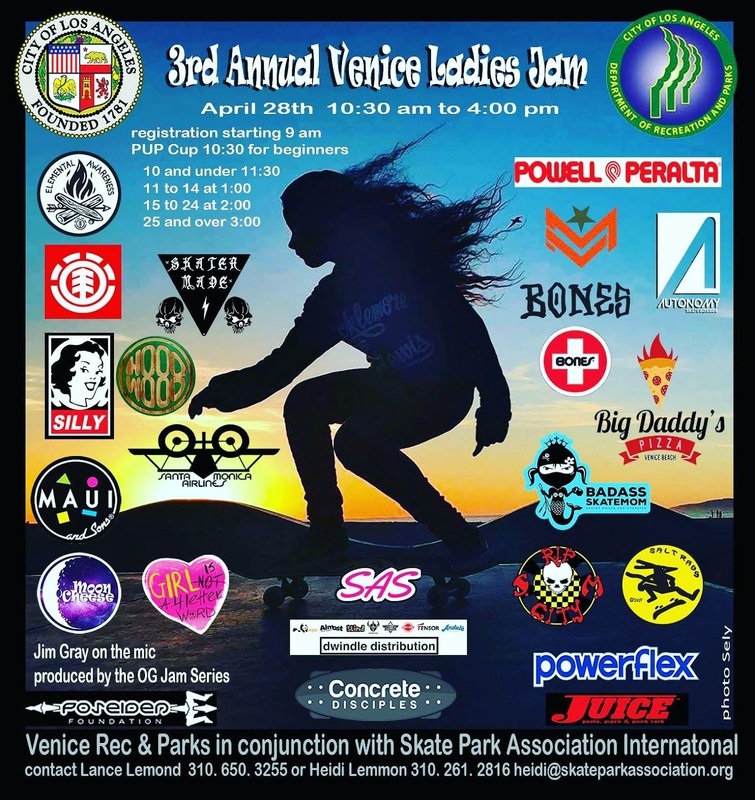 Save The Date - The Venice Ladies Jam is Back! This is one of our favorite events of the year! So many female skaters of all ages and levels in one place, with Venice Skatepark all to themselves. There are prizes for each age group listed on flyer and give-a-ways all day long - thanks to the sposnors listed above. But more than competing, it's just a fun day to get all your girl friends together and skate under the warm California sun, right on Venice Beach. You get to meet and connect with so many other female skaters - it's the best!